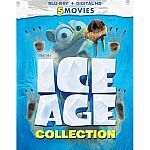 Amazon / Walmart has Ice Age / The Meltdown / Dawn of the Dinosaurs / Continental Drift / Collision Course for $19.96. iTunes has Aquaman [4K DV HDR Digital iTunes] for $12.99. Redbox has $1.50 Off Rental with code "RL6MFYH5". When will the code expire? The online promo code you entered is not valid for today. Amazon / Best Buy has Aquaman (HDUV) (BD) 2018 Movie for $15. Shipping is free with Prime (30-Day Free Trial) or free store pickup. vudu: Watch or stream a 'last chance to watch' movie w/ ads on Vudu. Get a $2 code within the week to use on your next purchase at VUDU. Atom Tickets has Shazam! Movie Tickets for 4 for $30 when you use code "SUPERFAM". Valid today 4/6 only. 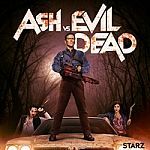 Microsoft has Ash vs Evil Dead on sale. Groupon has $20 Regal Cinemas eGift Card for $10. Only available to people received their emails. Shipping is free. Target offers $5 gift card when you buy a select 4k movie. Redbox is Offering Free Redbox 1-Night Game Rental with Code "BTNGREEN" or "BTNMINN". Redbox has $1.50 Off Rental with code "LUM76ZSR". Valid 3/18 only. Amazon.com $9.96. Shipping is free with Prime. Walmart.com $9.96. Free store pickup. iTunes has 24: The Complete Series Including 24: Live Another DayHDTV for $24.99. Ruby Tuesday offers a FREE $6 FandangoNOW Promo Code towards Any Movie Rental and a 20% Off RubyTueGo Coupon. 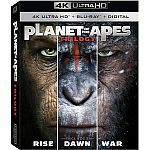 Amazon has select 4K UHD Movies on sale: 3 for $39.99. Shipping is free. Google Play Store has select Digital 4K UHD Movies on sale for $4.99. Meh, I'll wait until the UHD price goes down some more and get the digital copy included through Movies Anywhere. 4K streaming is terrible even with decent internet speed. Can I use it on FireTV? Verizon offers CBS all access 3 month free tiral. Signup for 1 month trial with code "VerizonUpCBS"
i think its only 2 months free. Atom Tickets has new promotions. Deal ends 2/17. Sams Club has select gift cards on sale for 25% off. Shipping is free. Fandango Offers $5 Off $5 Select Digital HD Movies. Digital Download. Microsoft Store has many digital movies on sale for $4.99. you can watch all of these movies at your local libraries for FREE. vudu Offers $2 Free Credit when you Watch Any Free w/ ADs Movies from Last Chance to Watch Collection. The movie you choose to watch must not be in your Purchased Library. Offer is for Today Only. Amazon has In This Corner of the World (Digital HD) for $4.99. 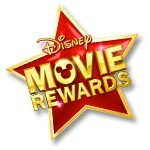 Disney Movie Rewards Members January Sale: Up To 60% Off Regular Points On Select Rewards. I need 120 points. Anyone got any codes for me? Thank you in advance. Amazon.com has Select Sesame Street Episodes for Free. Do you have to have prime video acct to watch them? Is this a good movie? I haven't heard of it. It is actually 8 movies, about a talented young artist with skills making beautiful jars and pots and other containers using clay, but he suffers some personal issues because of excessive hair growth. //@Anonymous: Is this a good movie? I haven't heard of it. Are you sure??? I heard these are pxxn movies? //@Anonymous: It is actually 8 movies, about a talented young artist with skills making beautiful jars and pots and other containers using clay, but he suffers some personal issues because of excessive hair growth. //@Anonymous: Is this a good movie? I haven't heard of it. That’s a differernt movie ‘Harry The Potter”. This one is way better. //@anonymous: It is actually 8 movies, about a talented young artist with skills making beautiful jars and pots and other containers using clay, but he suffers some personal issues because of excessive hair growth. //@Anonymous: Is this a good movie? I haven't heard of it. I think you mean Potter the Hairy. //@Anonymous: That’s a differernt movie ‘Harry The Potter”. This one is way better. //@anonymous: It is actually 8 movies, about a talented young artist with skills making beautiful jars and pots and other containers using clay, but he suffers some personal issues because of excessive hair growth. //@Anonymous: Is this a good movie? I haven't heard of it. Atom Tickets is offering 50% off Your First Movie Ticket with promo code "IMDB50". Deal ends 12/31. Amazon has The Many Sides of Jane: Season 1 (Digital HD) for $2.99. Amazon has Deadpool 1+2 2-Pack (4K UHD + Blu-ray + Digital HD) for $20. Shipping is free. Apple iTunes have many UHD 4K Digital Movie on sale for $4.99. Including Jurassic Park, Big, The Divergent Series, Night At the Museum and more. Atom Tickets has Buy One Get One Free Bumblebee Tickets with code "HAILEEBEE". Shipping is free. Amazon has DC Universe 10th Anniversary Collection, 30-Movies Blu-ray for $98.99. Shipping is free. Best Buy offers $10 Best Buy gift card for FREE with purchase of $100 or more in Netflix gift cards. Shipping is free or choose in-store pickup. Disney Movie Rewards has 20 Free Disney Movie Rewards Points with code "PARTY", "FROST", "CHILLY", and "JNGLE". Atom Tickets is offering $5 off 2× Atom Tickets for AQUAMAN. Plus, get $7 off when you check out with Chase Pay. Deal ends 12/23. Redbox is Offering Free Redbox 1-Night DVD, Blu-Ray or Game Rental. Text "VALPAK" to "727272" for Code. 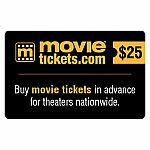 Amazon has $50 Regal Entertainment Gift Card for $42.50. Shipping is free. COSTCO has 4 x $25 Atom Tickets Gift Card for $69.99. Shipping is free. Amazon has Cosmos: A Spacetime Odyssey Season 1 14-episodes [HD] for $4.99. Amazon has Tinker Bell and the Legend of the Neverbeast [Blu-ray + DVD + Digital HD] for $9.97. Shipping is free. Amazon has Star Trek: Voyager: The Complete Series (DVD) for $39.88. Shipping is free. no, its good scifi thou //@Anonymous: Is this about NASA? I'll wait for the blu-ray version though. 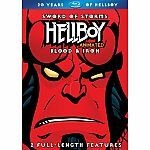 Next generation blu-ray version has a good discount right now. 30% off your order of $130 or more!